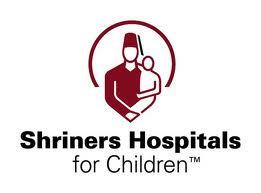 Guts & Glory Team Up With Shriners! Motorcycle Event, Motorcycle Rally, Motorcycle Tour and Travel, Press Release Comments Off on Guts & Glory Team Up With Shriners! The team of Guys & Glory have officially teamed up with the Shriners to not only help out with checkpoints and taking care of riders, but to officially sponsor the Shriner’s Hospitals. You see, one-half of all monies raised in the newly released “Ride a Mile Program,” will go directly to the Shriner’s Hospitals. The other half of the monies will be split between the three chosen Veteran’s charities (Able Forces, Project Healing Waters, and Not Alone). So what is the ride a mile? Well, basically, an individual, business, or corporation may sponsor a rider for as little as half a cent a mile. Guts & Glory are hoping to raise per mile per rider… that will bring in 10 Million Dollars! Talk about a donation! The official press release will come out next week and I will send it your way. Until then, rest happy knowing that you are some of the first people to hear about this amazing fundraising endeavor. I hope you will consider taking the ride yourself. I had been planning on it, but I have to come to terms with the fact that I will most likely not be able to come up with the entry fee for the ride and with only 1000 riders involved, I am sure they will find someone who would be happy to take my spot. But I have not completely given up hope just yet. Congrats again to the Guts & Glory Team and the Shriners for working out such an amazing opportunity. Guts or Glory… the next Hoka Hey? Many of you that know me are aware of the fact that I love to ride. 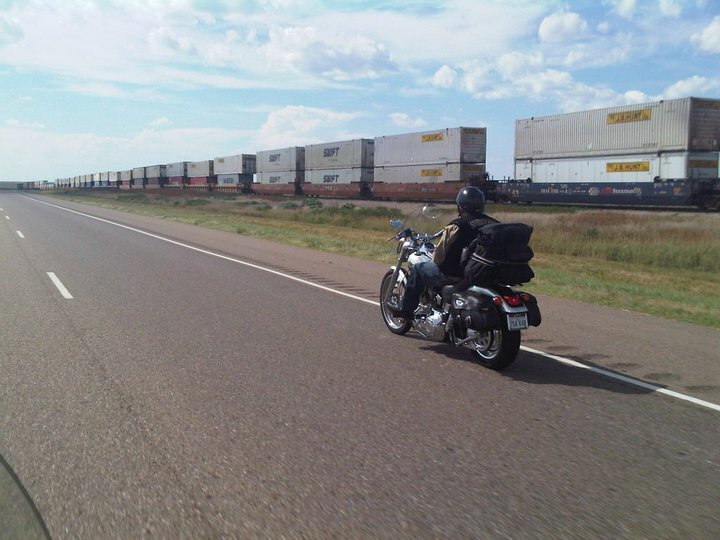 I mean, we all love to ride, but I have been fortunate in my life to be able to do a lot of riding all over the country. Last year I read all about the Hoka Hey Challenge which set riders up to travel across country for a big money prize. Anyone who followed the story at all will know that the entire event was a mess. There were accusations that the whole thing was fixed, or a fraud, or in some other way dirty. There were a lot of unhappy folks, but I think that the basic idea of the event was a good one. Now, there is a new ride which has been set up in a similar fashion, the “Guts and Glory Rally Across America,” put on by Sunrise Entertainment. Before I go further, let me say that Sunrise Entertainment was in some way attached to the Hoka Hey event. I don’t know the ins and outs at this time but would very much appreciate any comments from anyone who knows. At this point in time, the only thing I know is that they were the company that was supposed to document the Hoka Hey run… but they never showed… so… anyone? Ok, the rally will be held from May 15 – 28, 2011. One thousand riders will start in Santa Monica, California and ride 9000 miles through all of the 48 contiguous states and finish in Bar Harbor, Maine. The riders will start with 11,000 points and follow a pre-determined and pre-timed route with 11 checkpoints along the route. Each bike will have both an electronic timer and GPS tracking unit attached at registration. Points will be deducted for arriving at the checkpoints either too soon or too late from the scheduled times and for varying off the course. So that means the first person across the finish line might not be the winner. 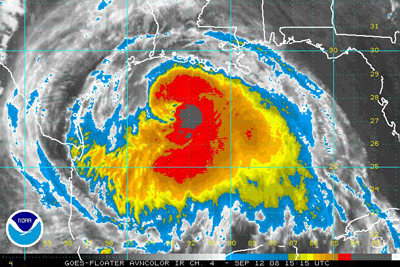 Now this is one area where the Hoka Hey got into trouble… so it will be interesting to see how it works. I do know that independent “timing professionals,” or something like that, are going to ride each leg of the route and determine an average expected time to be en route. This time will not be disclosed to the participants. The entry fee is $1000 but there will be cash prizes awarded for the most points for each leg and the Grand Prize to the overall winner will be $100,000 and a hand built custom motorcycle by Dave Perewitz. And who wouldn’t want a custom from Dave?!?! 1000 riders, 11 days, 48 states, and 9000 miles sounds a lot like my cup of tea. I am very interested in entering this thing. It does cost $1000 to enter, but, if you want one, you do get a place to sleep for 14 nights (may or may not be a hotel and you will have a roomie). I say, “If you want one” because at each checkpoint you get to say “Guts” or “Glory.” If you choose guts, you sleep next to your bike wherever you are and get 50 points added to your score. If you say glory, they put you up somewhere with a hot shower, bed and bathroom, however you do not earn any points. If we make up statistics (like I did in an earlier post this month), we can figure 100 folks won’t even make the starting gate, 100 will break down or somehow have to back out early, 100 will have other problems… that leaves about 700 competitors… I can take a 1 in 700 chance. I know I will have a 100% chance of making some amazing memories. So I am seriously considering the ride. 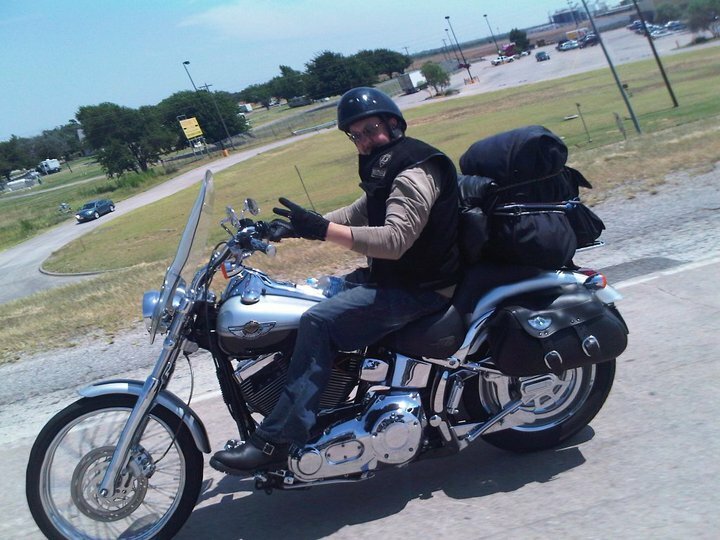 Custom Bike Show, Motorcycle Rally, Uncategorized Comments Off on Hurricane Ike Can’t Keep Bikers Down! 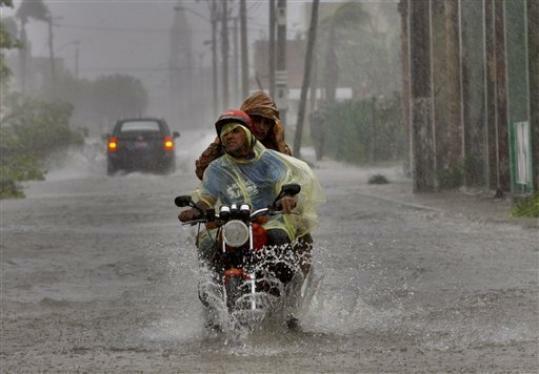 Hurricane Ike Can't Keep Bikers Down! 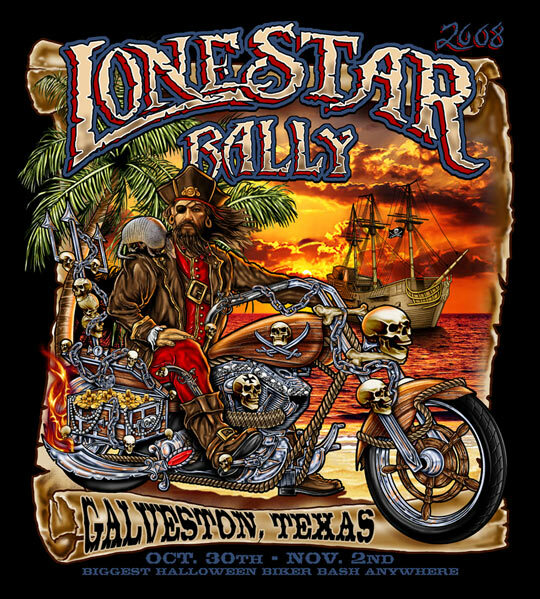 Custom Bike Show, Motorcycle Rally, Uncategorized Comments Off on Hurricane Ike Can't Keep Bikers Down!